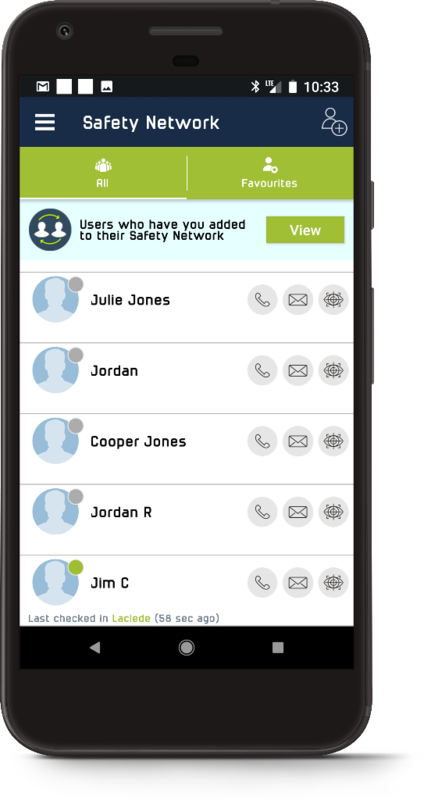 --The individuals you add to your Safety Network will be able to see when and where you send an alert, no matter where they are relative to you. If they choose to add you to their Safety NETwork as well, you will then be notifed when they send alerts as well. --You can see who in your Network is close by- if they have a green dot by their name that means they have recently been in your area, and you can quickly contact them through the application by clicking on the phone or message icon by their name. --You will soon be able to invite them to follow you to make sure you arrive at your destination safely.